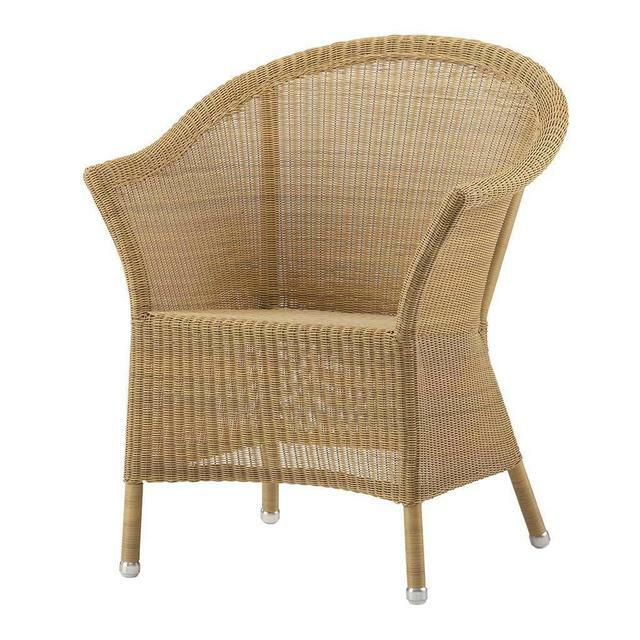 Classic plantation styled dining chairs. 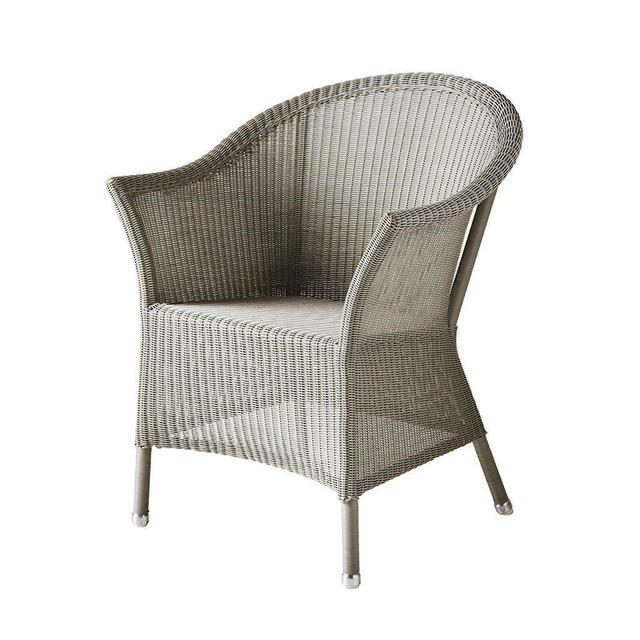 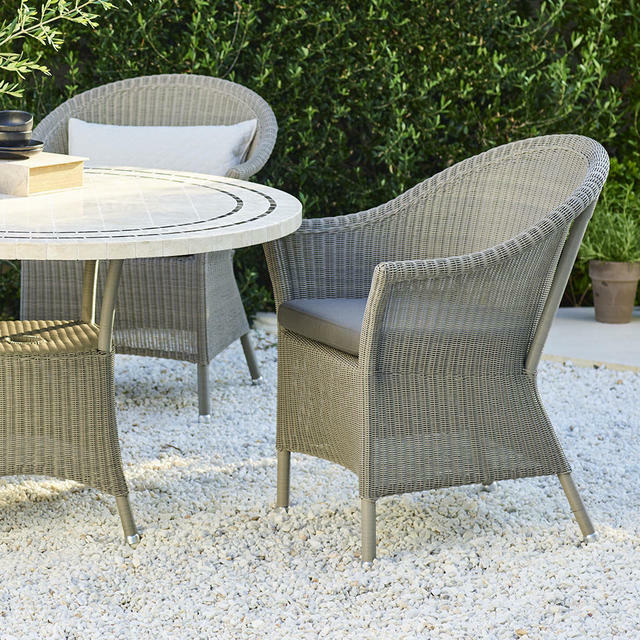 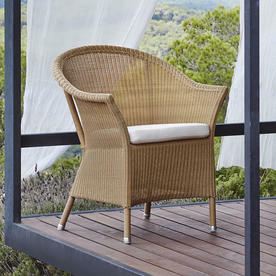 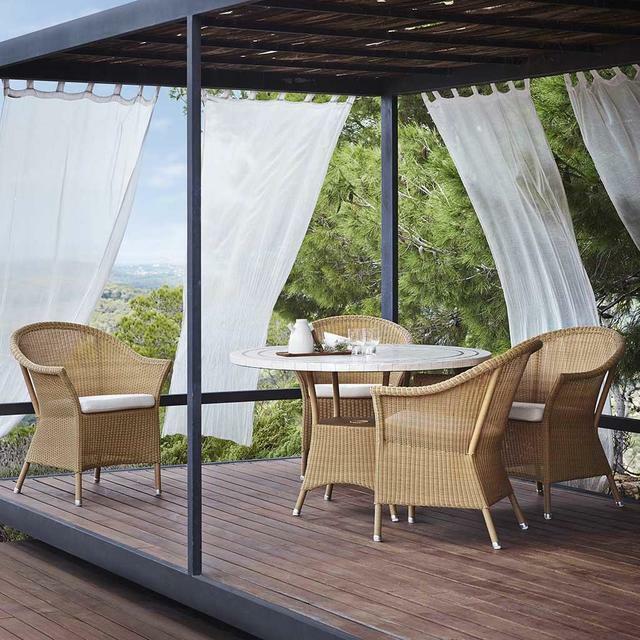 Comfortable classically designed outdoor woven furniture. 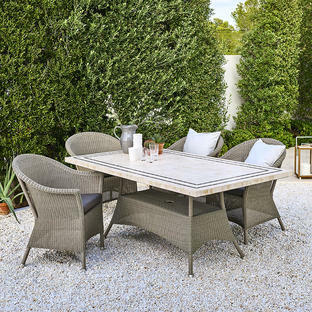 These chairs work perfectly with the Lansing dining tables which are available in both round and rectangular Versions. Taking influence from the classic conservatory styled outdoor chairs and tables, Lansing by Cane-line is comfortable and practical. 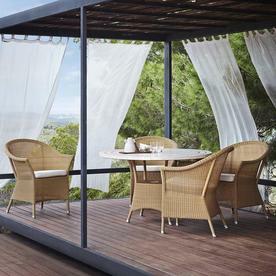 Lansing can be used as conservatory furniture, or outdoor dining furniture. 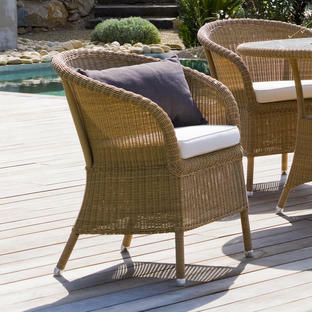 These are made from weather proof and UV resistant fabric. 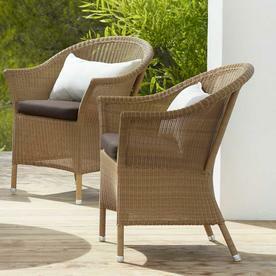 Extra scatter cushions are also available separately. 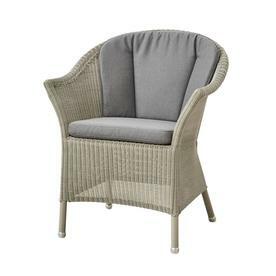 The chairs have a Powder Coated Aluminium frame and is handwoven using a fine all-weather Cane-line Weave in Lloyd Loom style.